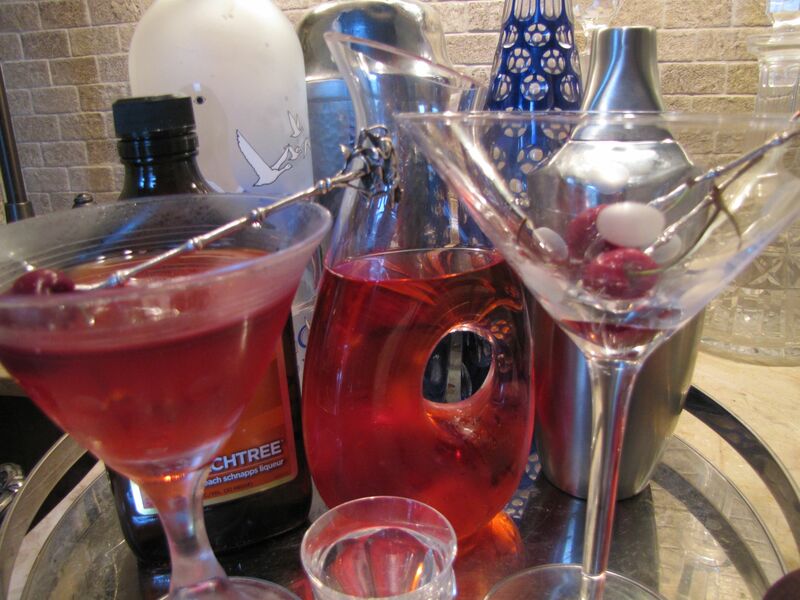 Nothing says “Party” like a martini, and a pretty martini is a favorite drink during the holidays. Place a (dry) crystal martini glass in the freezer for 10 to 15 minutes to chill. Here is a good shaker which works better than any we have tried. With its high-style shape, it also looks great on your bar. 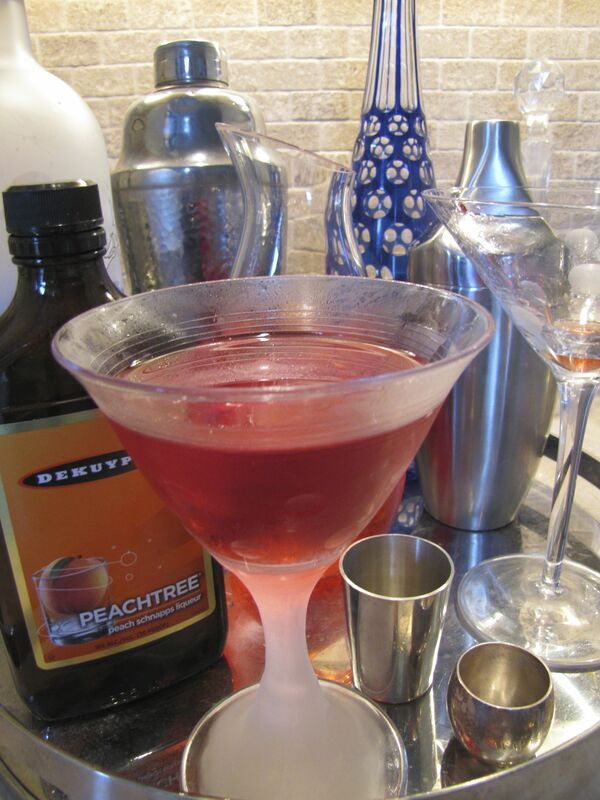 My original recipe for Peachy Pink Martini, here. This entry was posted on December 21, 2012 by Ellen at Color Calling. It was filed under Christmas, entertaining, entertaining ideas and was tagged with martini.